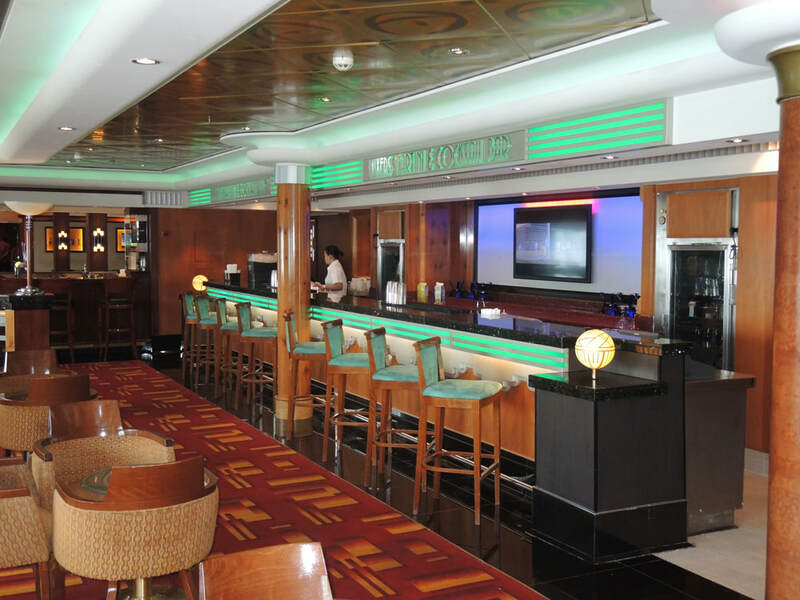 The Bliss Ultra Lounge is located midships on the Jade. 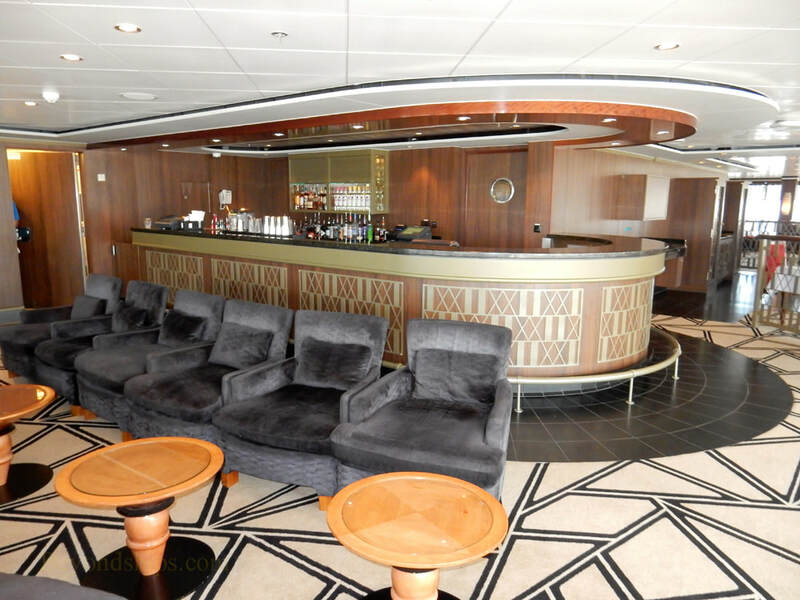 It is a large room with its own bar and a dance floor. 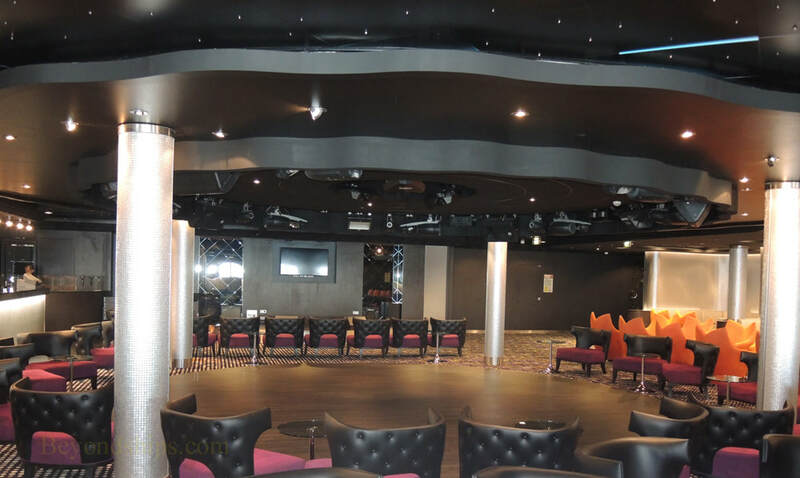 The room is used for trivia contests, karaoke, live music and DJ parties. 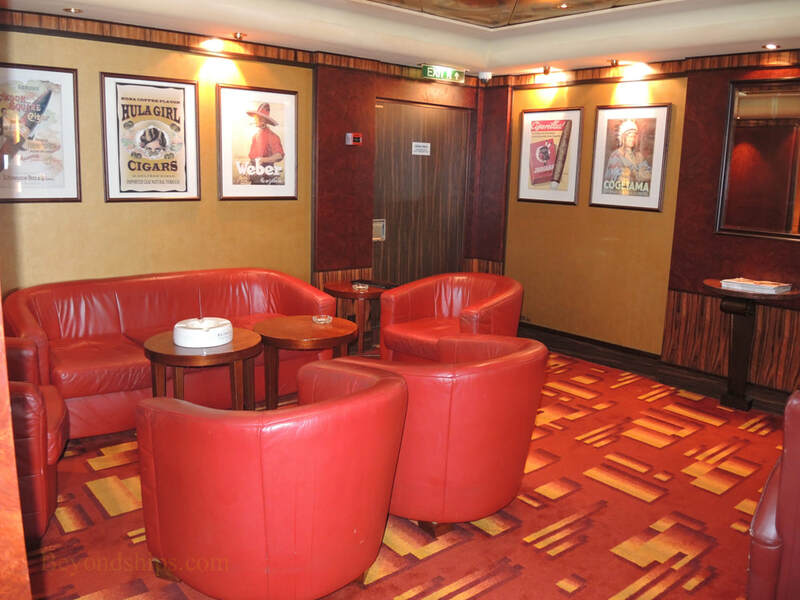 At one time, the room had separate karaoke rooms but these were removed when the room was expanded. 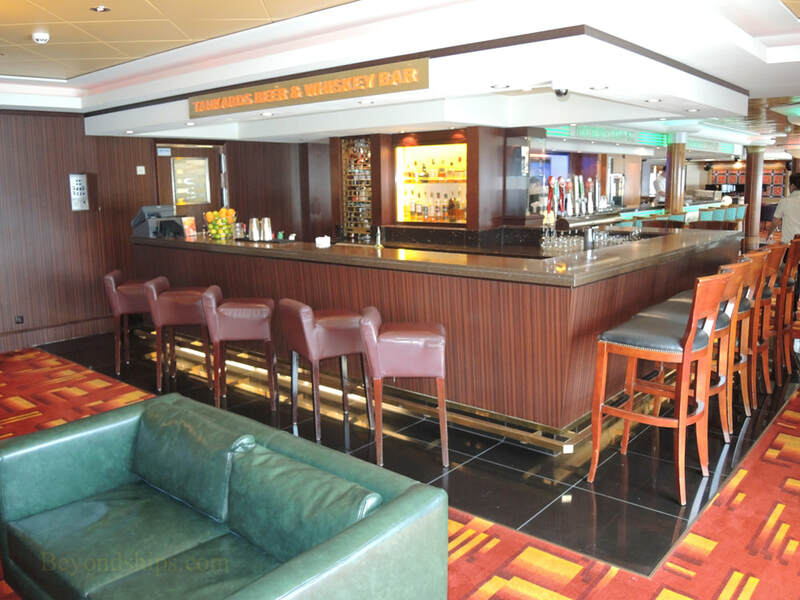 Bar Central on Deck 6 consists of three bars joined together. Each has a different style. 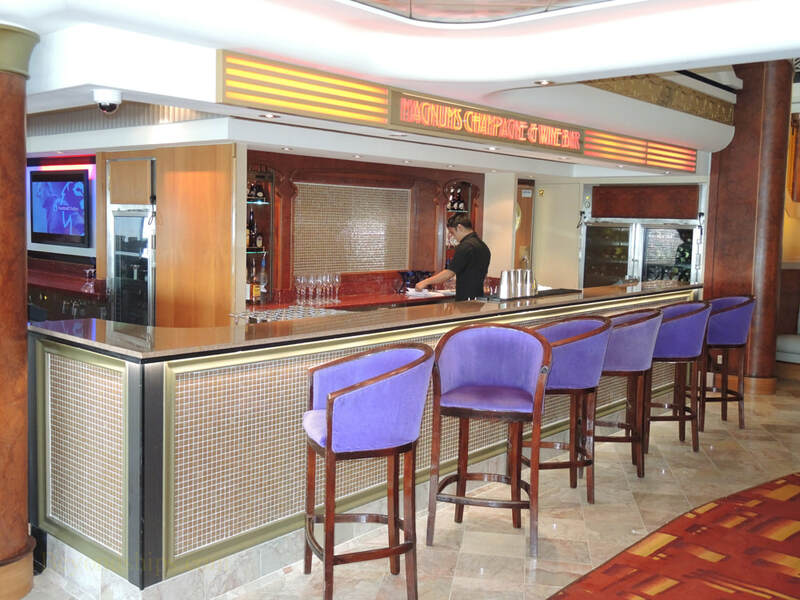 As the name indicates, Magnum's Champagne Bar (right) is a champagne bar. 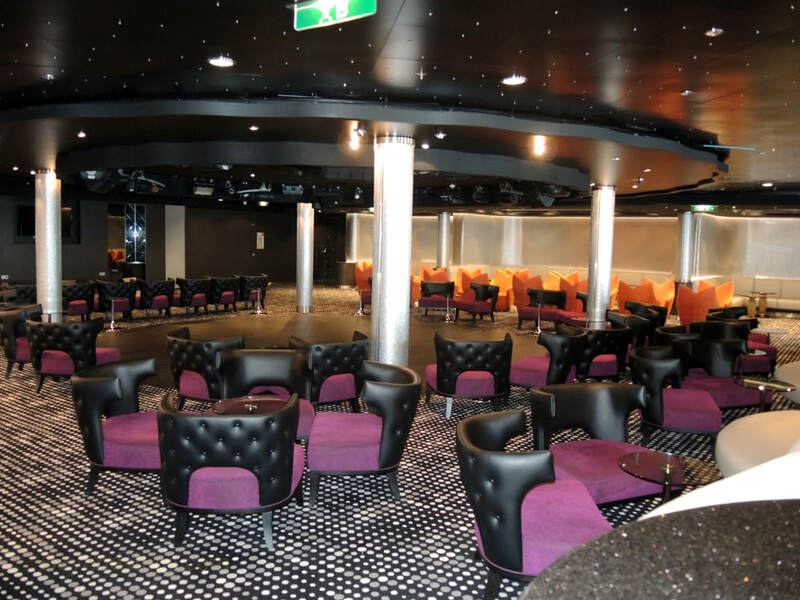 Next to it is a seating area where there is live music in the evenings. Mixers Martini Bar (below left) is in the middle. 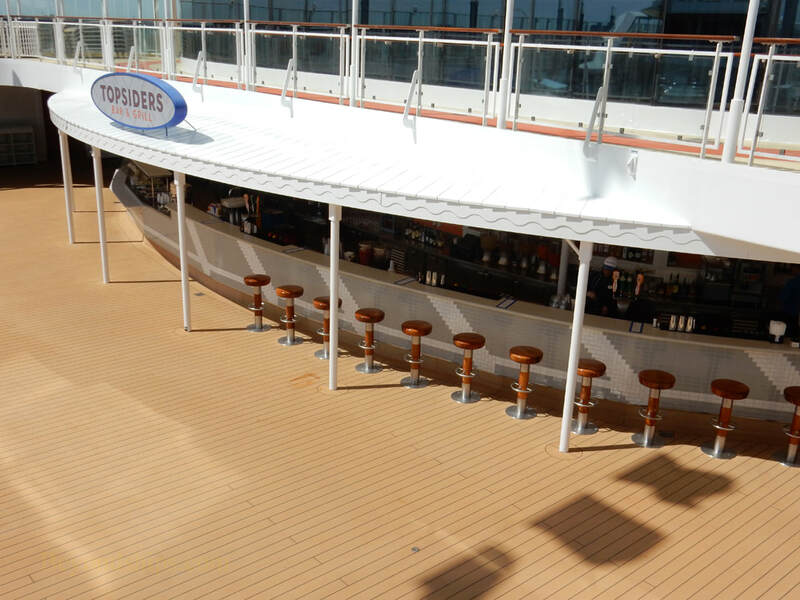 Tankards Beer and Whiskey Bar (below right) is at the aft end. 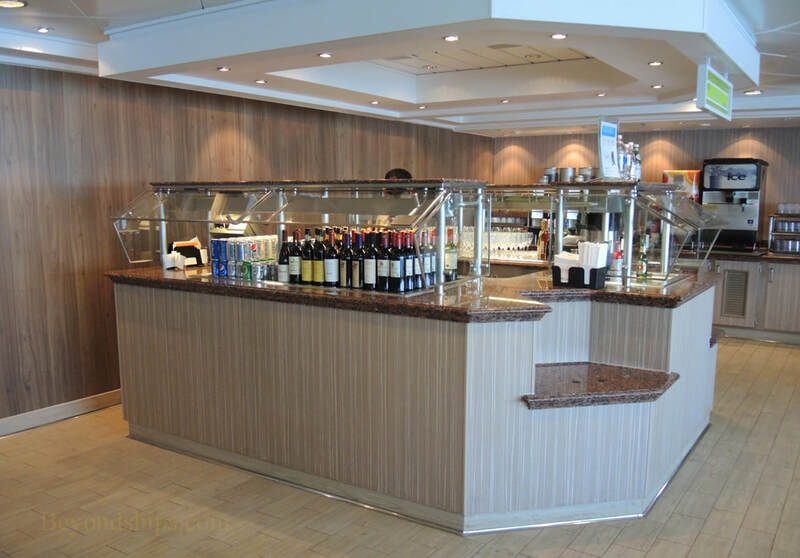 Convenient to the Cagney's and Moderno specialty restaurants is the Sugarcane Mojito Bar (right). 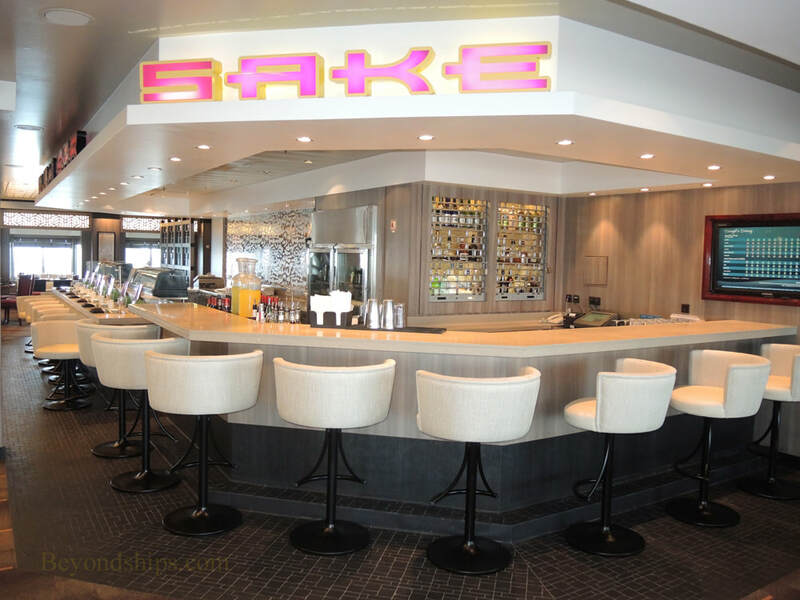 Within the complex of Asian themed restaurants on Deck 6 is the Sake​ bar. 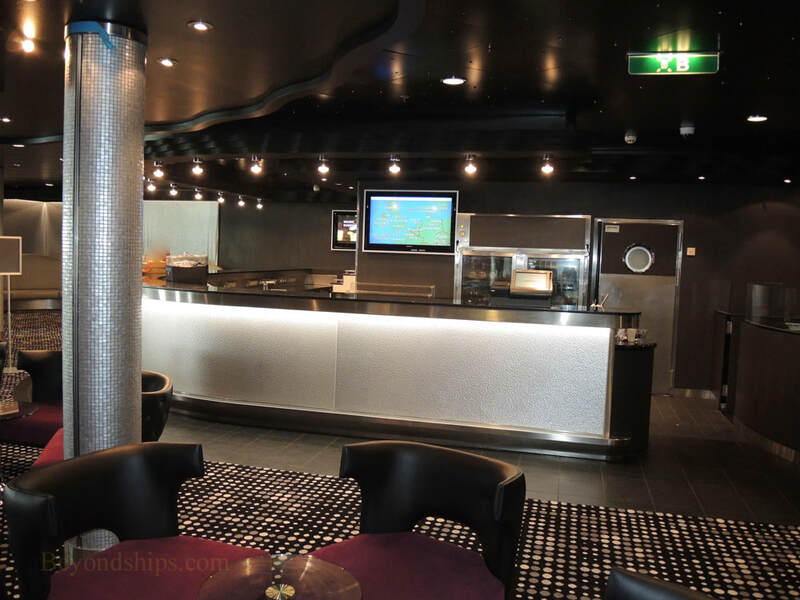 There is also a bar in the ship's buffet restaurant the Garden Cafe. 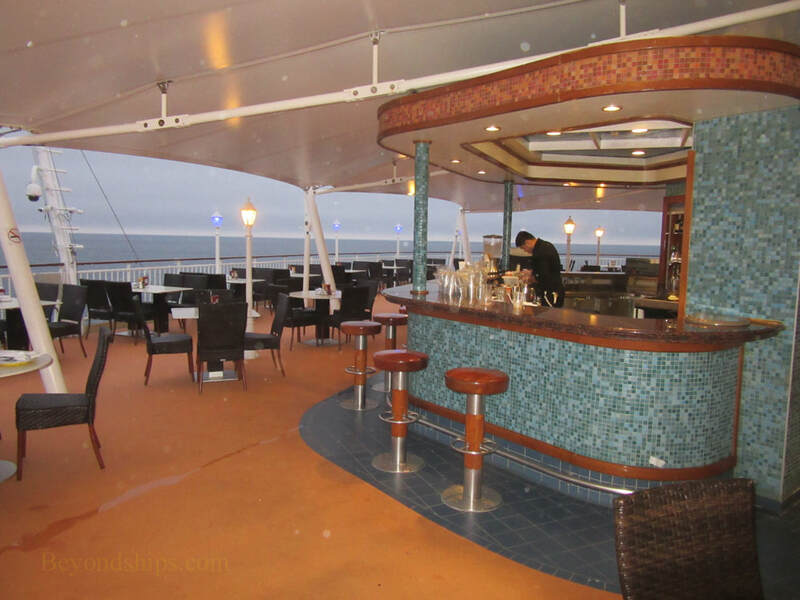 Jade has three outdoor bars. 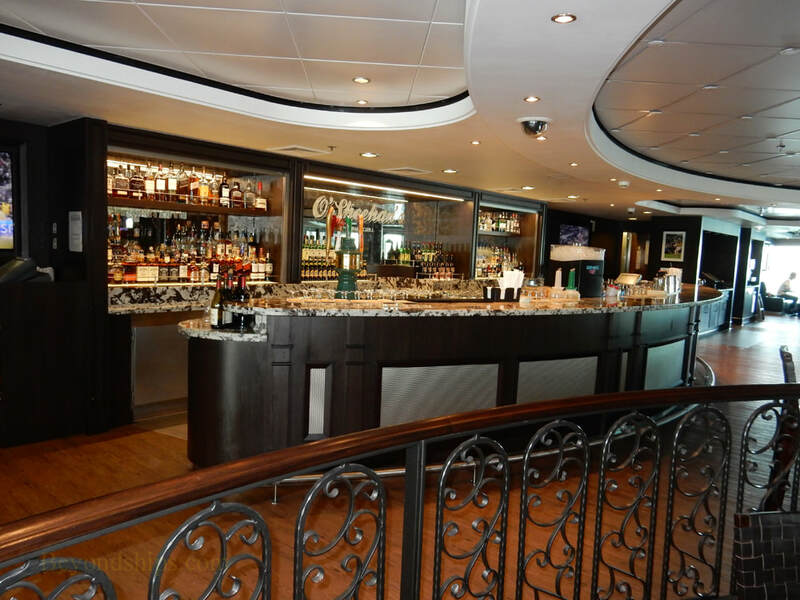 Like O'Sheehan's, these bars also serve as dining venues. 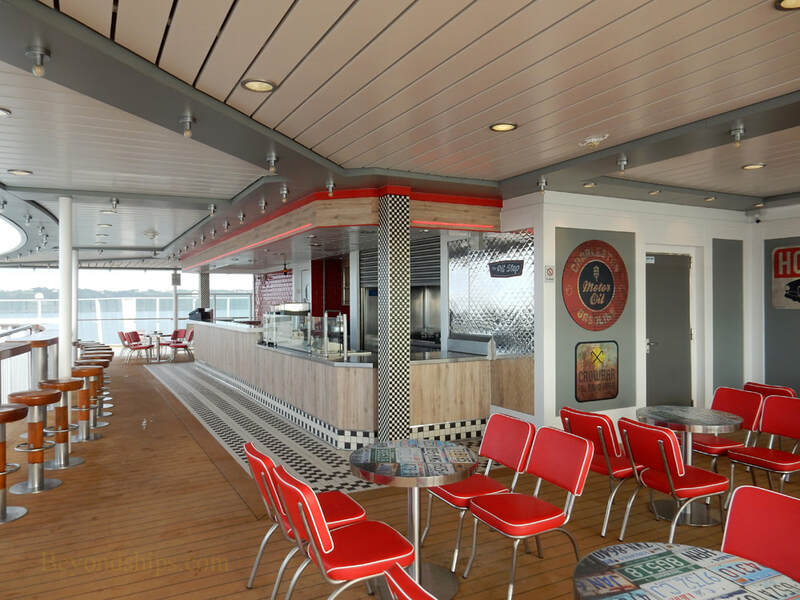 The Pit Stop (above right) is high atop Deck 13.